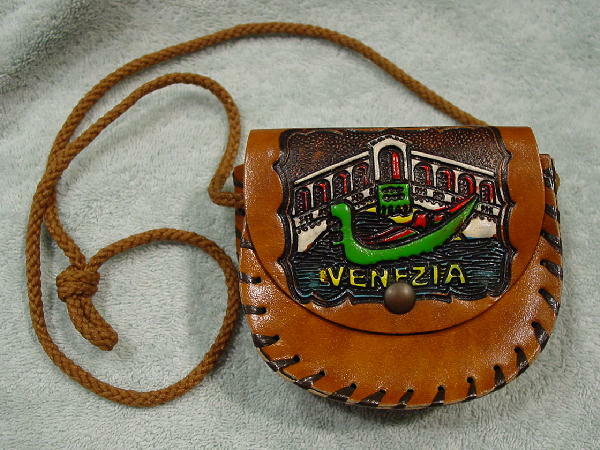 This adorable little leather purse was made in Venezia (Venice), Italy. It's in a caramel-tan leather with a cocoa braided 38" long strap. The four separate panels are "sewn" together with plastic-paper thread. The front flap has a one snap closure. A Venice canal scene is etched and elevated on the front flap. The scene is in blue, green, red, yellow, white, and black. 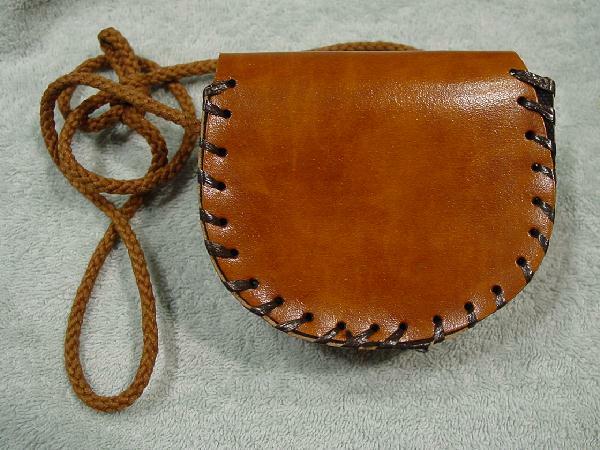 It's big enough to hold your essentials and a small cell phone. Eden picked it up in Venice, Italy.